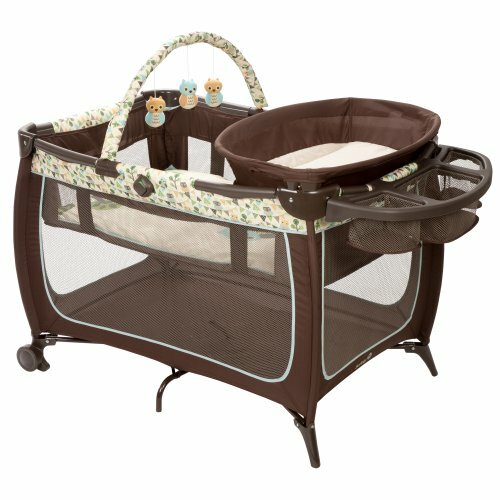 Comfortable bassinet for baby's nap time with easy Snap-On bars and breathable mesh. Elevated, changing table. Convenient accessory tray with mesh baskets-holds large wipes container.